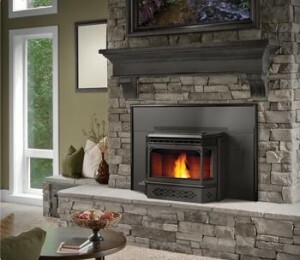 In fifteen words or less, can you describe what a fireplace insert does? It’s a tough definition. 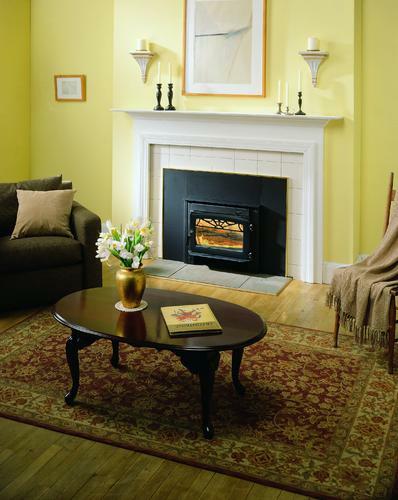 The name “fireplace insert” isn’t entirely descriptive of its renovation potential, or its unique ability to make old fireplaces fully functional again without the need for extensive reconstruction. They also tend to offer greater fuel efficiency than traditional, chimney based fireplaces thanks to their comparatively more modern design and construction. In the simplest terms, fireplace inserts are fully self-contained fireplaces that are placed inside the firebox (the open area at the bottom of the chimney) of an existing fireplace. Several different manufacturers offer them in many different styles, and there are additional accessories and add-ons that help increase the beauty of their physical appearance. Fireplace inserts can be organized into three varieties according to fuel type. 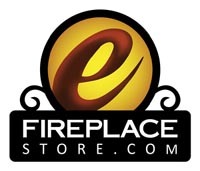 Though gas fireplace inserts are the most popular with the general public, electric and traditional wood burning fireplace inserts are also available from some manufacturers. One of the chief advantages to the gas fireplace insert, in terms of fuel variety, lies in its versatility. 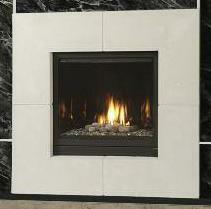 Many natural gas fireplace inserts are also capable of operating on propane. Some gas fireplace insert models come with propane orifices already attached as a standard accessory; others rely on conversion kits to help them shift from using natural gas to propane. 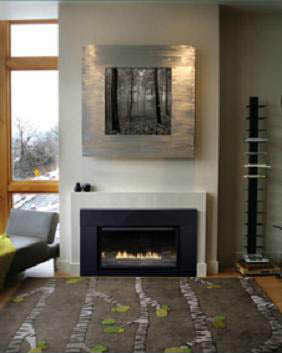 Electrical fireplace inserts are prized for their economy and for their low-maintenance construction. Of course, traditionalists will insist on the classic wood-burning fireplace insert. As a means of giving a second life to an existing fireplace, the wood-burning fireplace insert does offer a one-step solution. When choosing which fireplace insert is the best option for your home, consider what fuel type works best for you, and what venting capabilities your home or fireplace already possesses. In most cases, fireplace inserts will use one of two venting systems, or ways to remove their exhaust. Direct vent fireplace inserts function much the same as traditional fireplaces, with exhaust funneled through the fireplace chimney. One advantage of the fireplace insert over the fireplace itself is that the combustion exhaust is kept sealed and away from the room air. This provides a cleaner, safer fire than conventional fireplaces can offer. 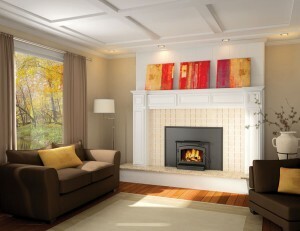 Vent free fireplace inserts are entirely self-contained. They produce no harmful byproducts, and burn cleaner than direct vent and conventional fireplace models. They also offer additional energy efficiency than direct vent fireplace inserts, since they are able to retain all the heat they produce rather than allow some heat attrition through the vent. Vent free fireplace inserts also provide the opportunity to make older fireplaces with non-functioning chimneys usable again. The insert simply fits inside the old firebox but does not use the chimney flue. Fireplace insert models are much like motorcycles, cars, or other heavy machinery. There’s a wide selection of accessories to fit most models, and getting your fireplace insert up to top functioning capacity – and appearance – will likely involve investing in some optional extras. Surround kits are sold to help frame your fireplace insert within the firebox, giving it a seamless, “built-in” appearance. Surround kits may include flashings, which close the gap between the fireplace insert edge and the edge of the firebox, and fronts, which fit over the fireplace insert and work to conceal that gap. Other optional fireplace insert accessories include decorative panels that fit inside the insert itself, safety screens, and operable front doors. Such accessories vary by manufacturer and model, so it’s important to make sure you’re buying the right accessories at the time of purchase to avoid the hassle of returns and exchanges.